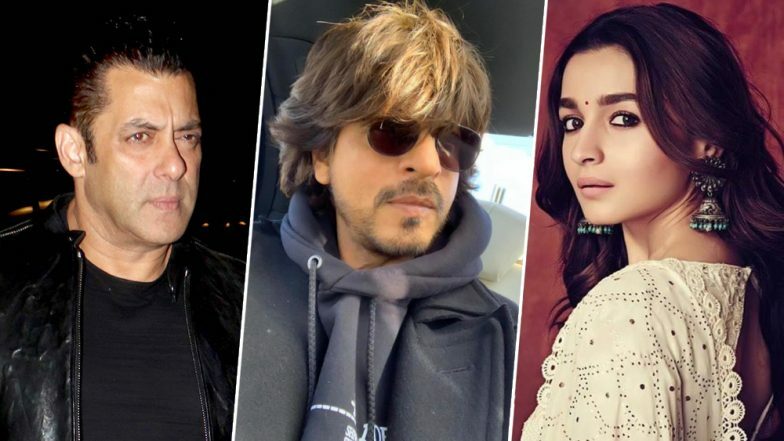 In the biggest breaking news of the week when it comes to Bollywood, it has been announced that Salman Khan and Alia Bhatt are doing a movie together. They will be paired up for the first time in Sanjay Leela Bhansali's next, Inshallah. Of course, this is a very unusual pairing considering the age difference between the two. Salman Khan is 53 years old and Alia Bhatt is just 26 years old. Not to mention, that Alia is dating Ranbir now, and Salman allegedly shares cold vibes with him. Confirmed! Alia Bhatt and Salman Khan To Come Together for Sanjay Leela Bhansali's Next Titled Inshallah. Considering that the movie has just been announced, we are not really sure if Salman and Alia will be romantically paired in the film. Sure, Bhansali is known for making intense love stories. But he has also made Black, that had Amitabh Bachchan and Rani Mukerji in the lead. So till we get reports of what Inshallah is all about, let's stay away from discussion on how odd this pairing of Salman and Alia is. That said, Alia Bhatt is not a stranger to unusual pairings. In her second movie, Imtiaz Ali's Highway, Alia had worked with Randeep Hooda, an actor known for taking risque and offbeat roles. This was in stark contrast to her glam pairing with both Sidharth Malhotra and Varun Dhawan in their debut, Student of the Year. Ali made their Stockholm Syndrome-infused bonding in Highway raw, yet heart-rending and touching, without indulging in any running around the trees. Highway was also the movie that made the world recognise the actress hidden in Alia Bhatt. Then there is Dear Zindagi, where Alia Bhatt was paired with three different actors at various junctures of the film - Kunal Kapoor, Ali Zafar and Aditya Roy Kapur. However, it was her camaraderie with Shah Rukh Khan in the film that made Dear Zindagi so talked about. SRK plays therapist to Alia's depressed director, and their bonding gives Dear Zindagi some of its fine moments. Towards the end, Alia's character is seen developing feelings for SRK's, but the latter restricts it to a professional attachment (even though the movie hints that even he harbours feelings for her). Last year, the spy drama Raazi had Alia Bhatt and Vicky Kaushal paired together for the first time. Though both the stars are closer to age compared to the rest of the actors here, Vicky was in his pre-Uri stage then, mostly seen in either in off-beat films like Masaan or in supporting roles like Sanju. More than age or language, it is the clash of the sensibilities here before Kaushal went all commercial. Alia Bhatt is also making her South debut as well with SS Rajamouli's ambitious period thriller, RRR. She is reportedly paired opposite Telugu superstar Ram Charan in the film. It is really great to see Alia experimenting not just with her roles and movies but also with her leading men. Even if she is doing just too many movies with Varun Dhawan!